Lisbon International Airport, or as it is was called ‘Portela Airport', is one of the largest airports in Southern Europe, connecting Europe with South America and Africa. In February 2015 the airport name was changed to the ‘Humberto Delgado Airport' in honor of Portuguese air force general and outstanding political figure. Humberto Delgado Airport (IATA: LIS, ICAO: LPPT) is located 7 kilometers away from the Lisbon. At the moment it is the 20th busiest airport in Europe judging from the passenger volume which has reached 26,646,079 passengers in 2017. The strategic location of LIS provided it with the advantage not only over another Portugal airports but even in comparison with some European airports at large it is seen as one of the most convenient ones. The LIS became the host for more than at least five airlines: Azores Airlines, EasyJet, Ryanair, Vueling, Wizz Air and the main one - TAP Air Portugal\TAP Express. Lisbon is the capital of Portugal with the population of over 3.000.000 people, which is approximately 27% of the country's population. Due to that fact it has become the 11th most populous urban area in Europe. The Metropolitan Area of Lisbon, the population of which is around 505.526 people, is constantly developing and is highly industrialized at the moment. The city is located along the northern bank of the Tejo river, which is the longest river in the Iberian Peninsula. Notably, Lisbon is the most western European capital city, which is also the only one alongside the Atlantic Ocean coast. 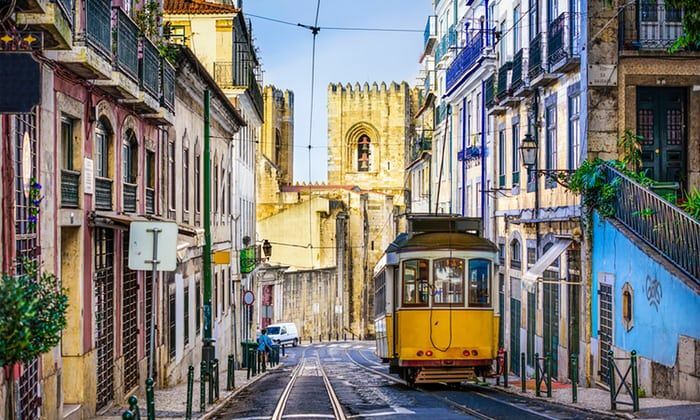 Recently Lisbon became the 9th most visited Southern European city after Milan, Barcelona, Rome, Athens, Florence, Venice, Istanbul, and Madrid. The overall number of tourists annually has reached 3,320,300 tourists in 2017. Among the services which were not indicated previously, the one that can be mentioned is ‘ANA app', which was designed to help passengers to navigate in the airport freely without any additional confusion. The app provides all information about arrivals and departure times, all discounts, and sales available at the territory of the airport, service reservations and etc. Another service that cannot be left without attention is ‘Family Services', which helps passengers to ensure that their children are feeling as comfortable as possible. Therefore, children's seats, baby strollers, baby changing facilities, changing tables, playground and living spot are available free of charge 24/7. As for the ‘Health Service', the professional medical staff of the airport will provide everyone with the first aid or medical care 24/7, additionally, pharmacy and healthcare store are available at the territory of the airport. The airport was constructed on October 15th, 1942, in the middle of the World War II and due to the neutrality of Portugal throughout the war period eventually became the transport hub both for Axis and Allied forces. The initial success of LIS was caused by the operation of four long runways each a kilometer long, which increased the capacity of the airport up to 100.000 passengers per year at the beginning of 1954. Earlier in 1951-52 new runways were constructed, which were capable of handling new generation jets as the Boeing 707 and Douglas DC-8. In 1962 the 3130 meters long runway came into use, that allowed the airport to hold the first transatlantic flights, one of the which was the very first direct flight from Lisbon to New York. Later in 1972 due to constantly rising demand, five large parking bays were built, and the terminal was enlarged correspondingly. However, first air bridges were implemented only in 1991. Being one of the few European airports located inside the city, the LIS created the ground for major disputes about rather leaving the airport as it is or expanding it and building the new terminal somewhere else. The second option was regarded as the most beneficial one. Therefore, in November 2016 the expansion plan was officially announced and in August 2007 the 2nd terminal - Terminal 2 - was already constructed; that allowed to respond to the passenger traffic growth trends and to use the capacity of the airport in full. The expansion on an initial terminal -Terminal 1- was implemented a bit later in 2011, meaning that new boarding gates and runaways were built; moreover, the new underground Metro de Lisboa station was presented to audience's view in July 2012. From 2007 to 2013 the airport went through some major renovations and this made it possible to assure that the capacity of the LIS may reach 22 million passengers annually in the nearest future and allow it to stay the best point of connection between European and other parts of the world. Among the airlines available both in Terminal 1 and Terminal 2 you may find: Aeroflot, airBaltic, Air Europa, Atlantic Airways, Beijing Capital Airlines, British Airways, EasyJet, Emirates, euroAtlantic Airways, Lufthansa, Luxair, Norwegian Air, Orbest Primera Air, Royal Air, Ryanair, TAP Air Portugal, Transavia, Turkish Airlines, Wizz Air etc. The Lisbon airport provides two types of transfer: private transfer with the driver and shared ride Shuttle Service. The first one provides door to door service, meaning that the passengers will be carried from airport to the hotel directly and private hire with the driver, meaning, that the driver will meet the passenger personally and get him/her directly to the point of destination. The second option includes shuttle bus service, predefined meeting point, meaning that all passengers shall be gathered at the discussed place and a shared ride. Moreover, one can book the round transfer, meaning that the passenger will be carried as form the airport to the hotel, so as from the hotel back to the airport. All fees vary depending on the company or individual providing the transfer, however, the average price range is from $10.50 up to $50.00. In both arrivals and departure terminals, the one may find exchange points, in the case whether it is needed to exchange currency for the local one, ATMs and other financial facilities. With ‘CCT' guests of the airport may not only purchase local telephone card but also get the tickets to any desirable event. ‘Nova Cambios' will help with the currency exchange, money transfers, and VAT refunds. ‘Santander' offers any type of banking service. ‘Tranquilidade' is responsible for all insurance queries and issued. ‘Unicambio' will not only help with the currency exchange, tax refund or money transfers, but will also provide guests with advice regarding Cash4Travel Card, which is the prepaid card that allows shopping around the world carelessly. In Lisbon Airport everyone may find a variety of shops, where it is possible to purchase anything the one has forgotten while packing or would like to purchase for his/her beloved ones. Among the shops available there are: Women's Secret, Victoria's Secret, BOSS, Tumi, Versace, Springfield, Swarovski, Salvatore Ferragamo, Porsche design, Polo Ralph Lauren, Mont Blanc, Pandora, Parfois, Lacoste, Guess, David Rosas, Desigual and many more.